Water sports are increasing specifically in elderly population sectors who have suffered some kind of muscle or bone damage. Please check the nearest Chlorine Free Pools in Chicago or Contact us to ADD IT. It's free! Looking for Swimming Pools? Many of them belong to gyms or sport centers which also provide lessons. If you are visiting Chicago ensure you know the rules and regulation for swimming as they may not be precisely the same as in your property town. Are you on holiday and want to hold fit and healthy? 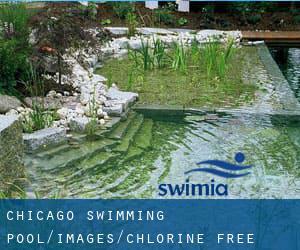 Swimia.com delivers you the straightforward and quickest option to discover pool near Chicago. Thanks to some new Chlorine Free Pools in Chicago submitted every single day, Swimia.com is growing daily the number of stored pools. Please don't hesitate to get in touch with us if you acquire any inaccurate or incomplete knowledge. 355 East Grand Avenue , Chicago , IL , USA (Postal Code: 60611). This sports center delivers 25 meters, 3 lanes, Non-Chlorine Sanitized, Indoors. For this Swimming Pool, only phone number is number here.